With some time and some cardstock, we came up with this pretty poster. This project takes one afternoon, a few items from around the house and one little helper. 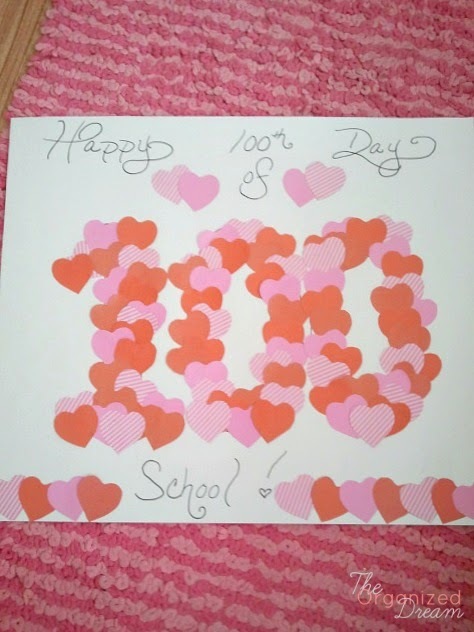 Trace 100 hearts onto your card stock. Cut out the hearts. I drew the number 100 in pencil to make sure I keep the shape of the numbers. My card stock had a pattern on one side and a solid color on the other so we really had 4 different hearts. :) After gluing the hearts, I wrote on the board and it was done! It was super special to her because we worked on it together. Her teacher loved it so much that she hung it up in the classroom as a Valentine's Day decoration. My daughter's school doesn't make this a mandatory assignment, but we love doing them none-the-less. 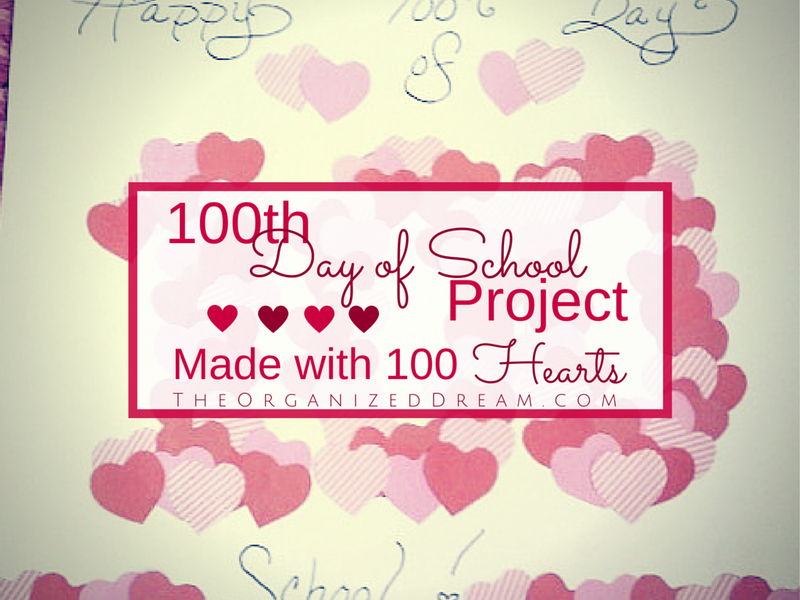 Do you have a special 100th Day of School project planned for this year? 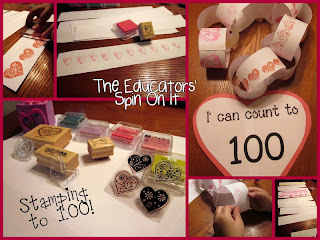 The site, The Educators' Spin On It, was created by Kim and Amanda who are certified educators turned stay at home moms using blogging and Pinterest to share crafts, activities and learning tools with parents. Click here for more from The Educators' Spin On It! 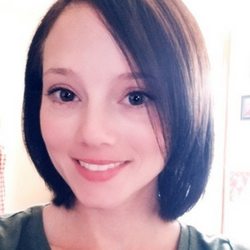 Arts & Crackers is a blog by Alyssa Darby who blogs about everything from crafts, everyday life and family-friendly reviews. Click here for more from Arts & Crackers! 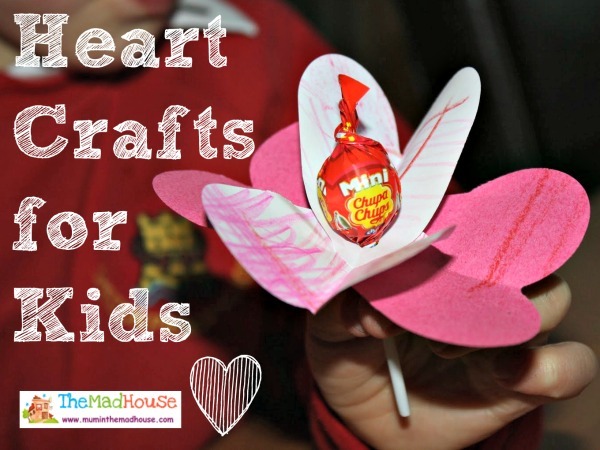 The Mad House is by Jen who shares so many crafts and activities plus everyday life! Click here for more from The Mad House! 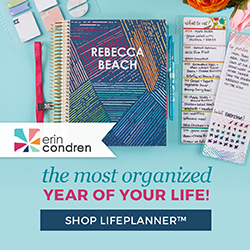 Carolyn is the owner of Wise Owl Factory who creates awesome activities and educational materials for teachers, parents and more since 2000. Click here for more from Wise Owl Factory! Thanks for visiting today and I hope you've enjoyed and have been inspired by my project and featured blogs! My son should be starting school in the Fall and this is such a fun idea! Thanks for sharing! And thanks for featuring my Paper Plate Love Bug! 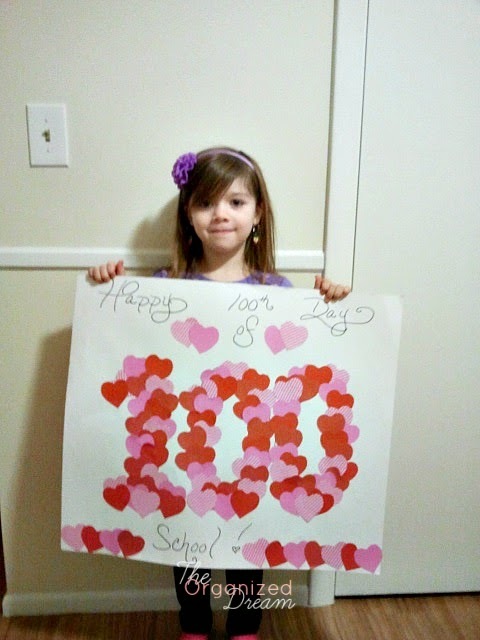 What a nice idea to combine the two special days of Valentine's Day and the 100th Day of School! I never thought of tring to combine them. The children are so engaged for both, this is perfect! Thank you so much. Very cute, thanks for sharing at Pin-Worthy Wednesday!